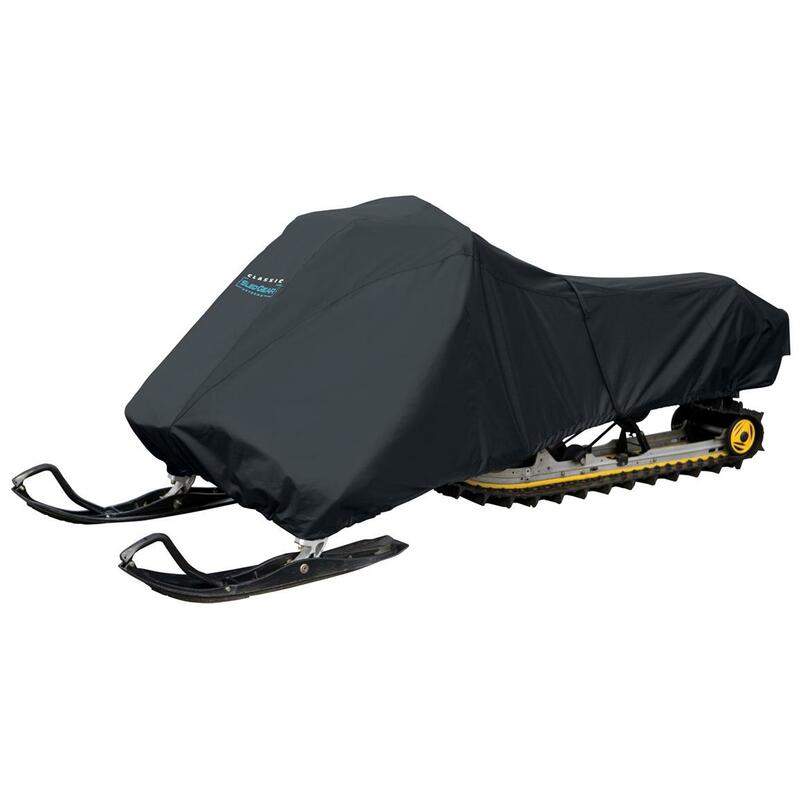 Classic SledGear ExtremeTM Snowmobile Cover... laughs at winter's tough weather hazards! My friend, I know you'd probably like to be on the snowmobile trails close to 24/7... but since you will have to take a "little" time off for things like work and such, it's good to know that you can easily get some top-notch protection for your sled against the well-known hazards of extreme weather and abrasion. Here's the Classic® answer, and if you have a question about how much this will take out of your wallet, have no fear... affordable Guide pricing is here, as always! State Cover Size to Fit Snowmobile, as available in the Shopping Cart. Classic SledGear Extreme Snowmobile Cover is rated 4.6 out of 5 by 15. Rated 2 out of 5 by Papaoulu from Not what I expected The material that goes over the hood of the sled is good quality. Then it changes to a thin plastic nylon that will probably not last one 200 mile trip on a trailer. I would have returned it but I needed it right away. Rated 4 out of 5 by Liveweyer from Good Value Cover fits well. Priced about right for what its for. Rated 5 out of 5 by hangman from Very nice sled cover Bought a used sled, did not come with a cover. This cover fit very easily over my sled. Built better than the rest.